So many people make the resolution to maintain a healthier lifestyle in the New Year. It’s just been Christmas, and most of us are carrying a little extra weight, or feeling slightly guilty for the over-indulging. Unfortunately, not many people keep to the resolution of getting healthier and really struggle. Let’s face it – it’s January, it’s dark, it’s cold, and it’s difficult to commit to eating salads and getting up in the dark mornings to hit the gym. However, despite it not being easy, changing up what you eat and drink is important if you do want this year to be the year for a real change. Little changes like drinking more water each day and eating a balanced diet will both help to keep your body functioning happily while making your weight loss goals easier to achieve. So, how can we stick with it this year? Making sure that you have the right equipment and motivation when changing your lifestyle is key to guaranteeing it will be a long-lasting change. 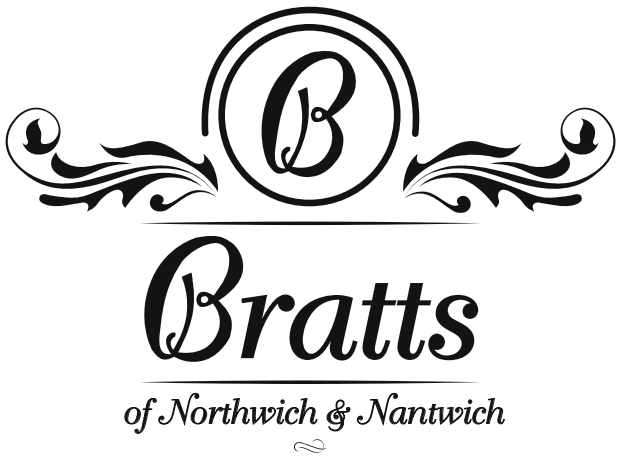 At Bratts, we have the clothes, cookbooks and kitchenware you need to start making the healthier lifestyle changes now. Read on for more ideas on how to be healthier in 2019, and what you need to ensure you stay on track. Whether it is improving your sleep or keeping track of your progress, we have the different things you need to help make your goal a reality. Sleep, sleep, sleep. The most important thing to focus on this year for your health. The amount and quality of your sleep you get can massively impact our health, making it a top priority for this year if you want to get your health back in order. Poor sleep can lead to weight gain, with one extensive study showing that children and adults with short sleep duration were 89% and 55% respectively, more likely to become obese. This can make meeting your targets much more difficult, as although you may be working out, poor sleep can counteract the hard work you have put in. Deep sleep is also the time when your body rests and recovers from an injury. When we work out, we cause small injuries to our muscles to help build them and make them grow. With increased muscle mass is faster fat burning, helping shake the weight off and tone our bodies. However, if we don’t get proper sleep, our muscles don’t have time to repair from this, leaving us feeling achy and painful, making it more difficult to work out. A lack of proper sleep also plays a vital role on your mood, and without the right quality of sleep, you can feel tired and unwilling to exercise or eat well when you wake up. Getting a good night’s rest is key to putting your mind in the right zone for the upcoming weeks and months. So, if you’re the sort of person that wakes up at the crack of dawn and is busy all day long until very late – your routine might actually be having a detrimental impact on your weight loss. Try it out for a few weeks – get to bed a couple of hours earlier, and you’ll soon start to reap the benefits. Google ‘how to lose weight’ or ‘how to have a healthy lifestyle’ and the first thing you will see is a list of results all telling you to eat a ‘balanced diet’. It’s something we have been told since we were children when our parents coaxed us into eating those vegetables we’d rather chuck in the bin. But, what is this magic ‘balance’ everyone is banging on about? Well, it’s actually pretty simple. Balancing our diet between all the food groups, like carbs, protein, fibre and healthy fats gives us the nutrients and energy we need to function healthily throughout the whole day. So, how can we make sure we stay on track? Treat yourself to some new cookbooks or kitchenware to help inspire your creative side in the kitchen. When people think of healthy food, they are often put off, only imagining big bowls of salad and no carbs. But this isn’t true! So many amazing chefs have created in-depth books about how to eat healthy without sacrificing taste. You can even motivate yourself to cook at home more by buying some new pans. With shiny, new cooking toys to play with, you will want to cook more healthy meals at home rather than eat out or order takeaway food. Lastly, many people keep a food log so they can track their diet and motivate themselves on days when they feel like they want to grab the biscuit tin. Flicking back a few pages can inspire you to eat as healthily as you have before, reminding you of the delicious food you can still eat while being healthy. Anyone with the goal to get healthier will know the importance of exercising. Getting our bodies moving for a little bit every day can help boost our endorphin levels (also known as the happy hormone) and keep us feeling motivated for the weeks ahead. There are so many health benefits to exercising regularly, from helping you slim down to improving your cardiovascular health. Taking 30 minutes every other day to lift weights, run or jog can be the little step you need to embrace your active lifestyle. Don’t set yourself unattainable goals like running 15k every night after work – start with small manageable targets like walking to the shops rather than driving, and gradually increase them. If you’re looking for fitness wear in Northwich and Nantwich, we have an extensive range of both women and menswear to choose from. No matter your size or style, there is something for everyone to make them feel comfortable and ready to work out. Whether you exercise at home or in the gym, treating yourself to new active-wear can give you the confidence boost you need to start working out more. The amount of water you drink per day can have a significant impact on your lifestyle. You need to stay hydrated to feel energised, healthy and happy, so make sure you are drinking around 2 litres a day. Yep, really that much! Drinking water can help shed the pounds as often we retain water that makes us appear bloated, when in fact drinking water can reduce this. Water is also beneficial to those who want clearer skin, as it’s known to battle skin conditions like dry skin and acne – bonus! Now for the science bit – on a more cellular level, our body uses water in all of its cells, organs and tissues to help regulate temperature and maintain other bodily functions. We lose water through breathing, sweating and digestion, so it’s important to focus on rehydrating by regularly drinking water and eating food that contains water. Make this habit an easy one to keep by carrying a reusable water bottle with you at all times. Buy one that is small enough to fit in your bag or big enough to hold almost all your water for the day, and make sure you take it to work, the gym and keep it with you at home. This will motivate you to drink a certain amount per hour and reach your goal by the time you go to bed. Staying on track when making a lifestyle change can often be hard. There will be days when you feel like abandoning it all and giving in. This is why keeping track of your progress – in all areas – is vital. Keep a diary where you track how much sleep you have had so that you can see when and why your sleep is disturbed to ensure it doesn’t happen again. Tracking your food can help you make healthier choices daily by motivating you to eat better than the previous week. You can also see when you last had a cheat meal or a really indulgent treat, so you know not to go too overboard for the following few days or weeks. Having a tracking diary can also help motivate you to work out more, by showing you how many days its been since you last exercised. You might have an overall time per week goal, or merely days you made it to the gym, either way tracking your exercise makes it easier to meet your goals. The amount of water you drink can also be monitored, as often it’s hard to increase your water intake by a huge amount right at the start. Rather than aiming to drink two litres straight away, try to have a glass more every few days till you reach your goal amount and your body feels more comfortable. If you want to make significant lifestyle changes in 2019, then you need to make sure you have the right tools to do so. In our Nantwich and Northwich stores, we have a vast range of women and men’s gym wear, books and diaries for tracking as well as the water bottles, cookbooks and kitchenware you need to improve your diet. 2019 – we’ve got this! To learn more about what we sell and our two branches, contact us today.